The Sodexo Gold Cup is a valuable handicap which often attracts a big field, therefore making finding the winner a hard task, but Go Conquer, winner of the race 12 months ago, makes a fair bit of appeal on his seasonal return. He had enjoyed a successful pipe-opener at Fontwell prior to winning this race last season, but his record when fresh is an encouraging one, and his new yard are fully adept with getting their runners ready first time up; owners Paul and Clare Rooney have interestingly switched Go Conquer to Nigel Twiston-Davies’ stable from Jonjo O’Neill, for whom he won three races. Admittedly, Go Conquer lost his form towards the end of last season, finishing midfield in the Silver Trophy Chase (Limited Handicap) at Cheltenham won by Traffic Fluide on his final start, finding little. However, his record at Ascot reads well (not out of the first two when completing at this course) and, from a mark just 5 lb higher than when successful 12 months ago, he has to go well. Traffic Fluide picked up where he left off last season when finishing a good second in a handicap at Chepstow earlier this month, beaten only by the rejuvenated The Young Master, who was thrown in on the pick of his form. The Gary Moore-trained gelding should continue to give a good account from a 2 lb higher mark, and looks a worthy contender. One who has the right sort of profile for this race is Thomas Patrick, trained by the upwardly-mobile Tom Lacey, and very much still at the right end of the handicap. 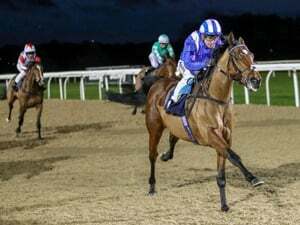 His trainer has spoken highly of the six-year-old and has high hopes for him, marking him down as a potential Grand National horse in time, and he almost certainly has the ability to win here. His participation isn’t guaranteed, though, reportedly set for a tilt at the Ladbrokes Trophy at Newbury next month; he looks a thorough stayer and is well suited by cut in the ground. Virgilio is another who stays well, but is fully effective on a sounder surface, something which he proved when winning a couple of handicaps at Aintree and Uttoxeter in the summer. His latest win at the latter track was a career best for him, short of room on the home turn but finding plenty to lead two out and asserting on the run-in. He was treated for post-race ataxia (an increase in body temperature that can be treated with water) afterwards, and a subsequent 8 lb rise makes life harder, but he is a likable type who should give his running once more (he also holds an entry in the Charlie Hall Chase at Wetherby on the same day). 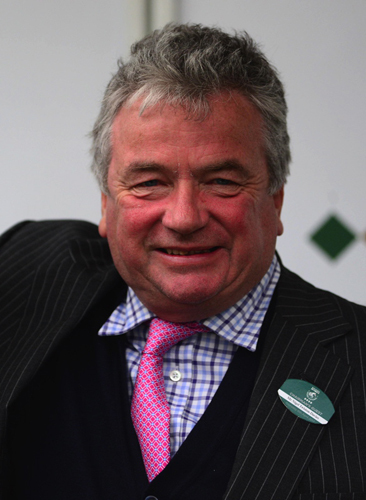 Paul Nicholls is yet to win this race, though, in the shape of Adrien du Pont and Art Mauresque, he has two solid chances. The former only has a win in a novice at Fontwell to his name over fences, but he proved himself a useful performer last season and an opening mark of 144 doesn’t seem excessive given he won a juvenile handicap hurdle by six lengths from a mark of 139 in 2016. The six-year-old likely has more to offer over fences this season and shouldn’t be underestimated. Art Mauresque made his reappearance in this race last season, but didn’t get far, falling at the first, and he shaped as though badly in need of the run on his return at Chepstow earlier this month. He has now dropped 2 lb below his last winning mark and should be competitive with that run under his belt. Kings Lad may now be an 11-year-old, but he is going through a good spell at present, winning three of his last four starts. He won a veterans’ event in good style at Chepstow earlier this month, and that form has been well advertised since, with the runner-up a good winner at Aintree last weekend. However, Kings Lad is now 7 lb higher in a stronger handicap, and he could prove vulnerable to some less exposed types. One who fits that bill is Geordie des Champs, who won twice as a novice over fences last season, and ran creditably when last seen in the Summer Cup at Uttoxeter won by Virgilio. He left the impression he was in need of the run that day and remains open to improvement in this sphere. It bodes well that his yard are in good form at present, too, and he looks up to winning races from this mark. The David Pipe-trained Ramses de Teillee was declared a non-runner at Aintree on Sunday on account of the ground and, with the current going at Ascot good to firm, his participation here could be in doubt, too. 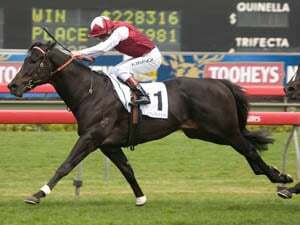 However, he is a useful chaser when getting his conditions and, still only a six-year-old, should have more to offer this term. Houblon des Obeaux won this race in 2013, but he proved more miss than hit last season, despite making a winning return in a veterans’ event at Sandown. He isn’t getting any younger, but he starts out this campaign from that same winning mark, and fresh could be the time to catch him; any rain would help his cause. Of the remainder, 2015 Cheltenham Gold Cup winner Coneygree is also worth a mention. He only made it to the track twice last season, and failed to complete both times, but there is no doubt he would be competitive from this mark if back to anywhere near his best. However, he also holds an entry in the JNwine.com Champion Chase at Down Royal, and is too risky a proposition from a betting perspective. This will likely be a typically competitive renewal, but the one who makes the most appeal at this stages is last year’s victor Go Conquer. He will be making his first start for a yard that does well with new recruits, looks well handicapped on the pick of his form, and has a good record at the course. 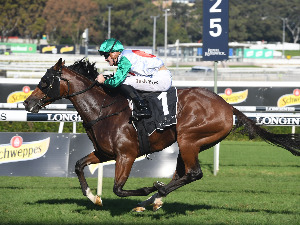 With several of these having probable other engagements, Go Conquer has the scope to trade shorter than his current price come Saturday, and should be backed accordingly.